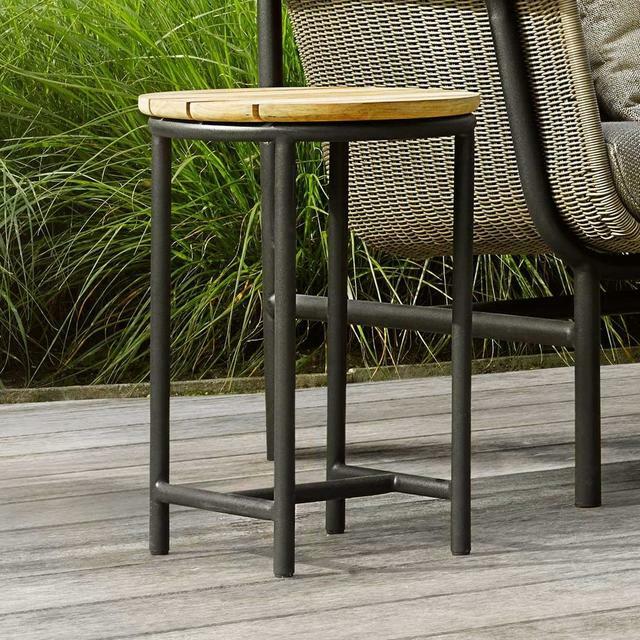 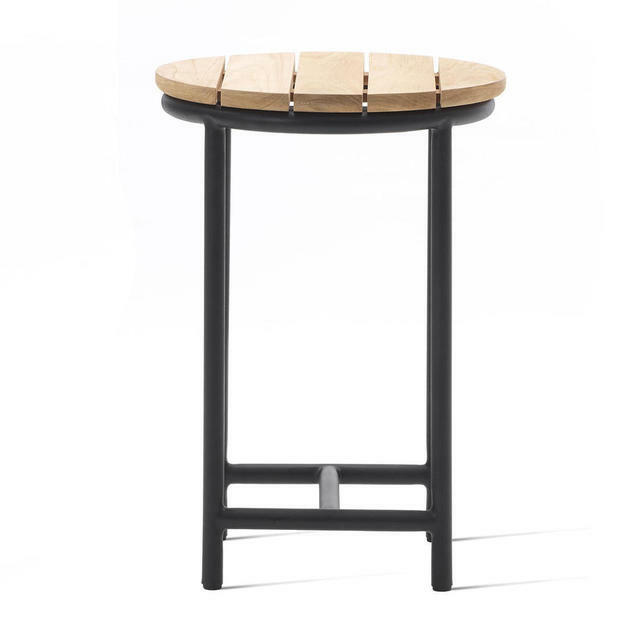 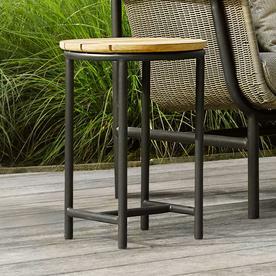 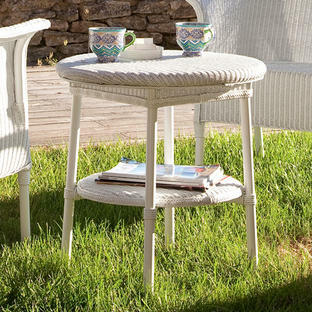 Grace your outdoor space with this stunningly beautiful and elegant outdoor occasional table. 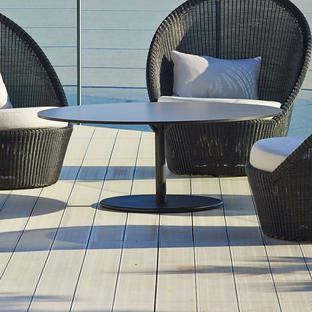 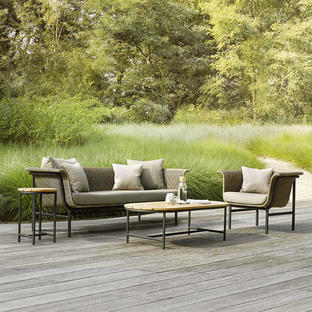 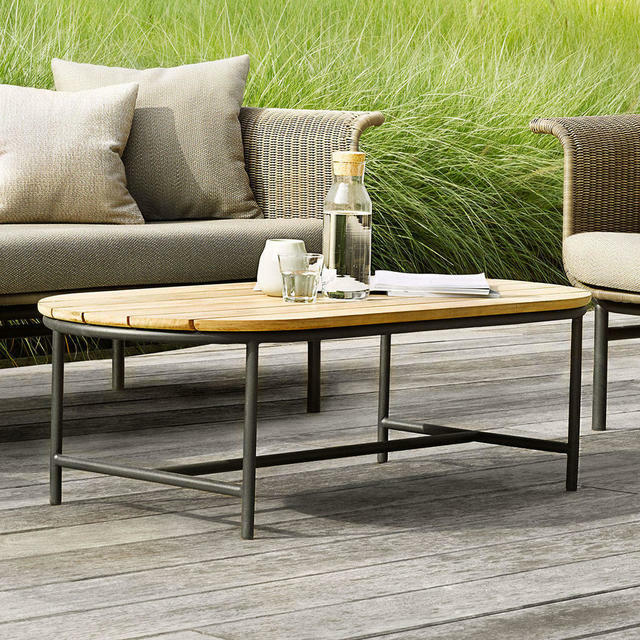 Gorgeous outdoor lounge by Vincent Shepherd, the Wicked occasional tables team up perfectly with the elegant curves on the Wicked Lounge collection. 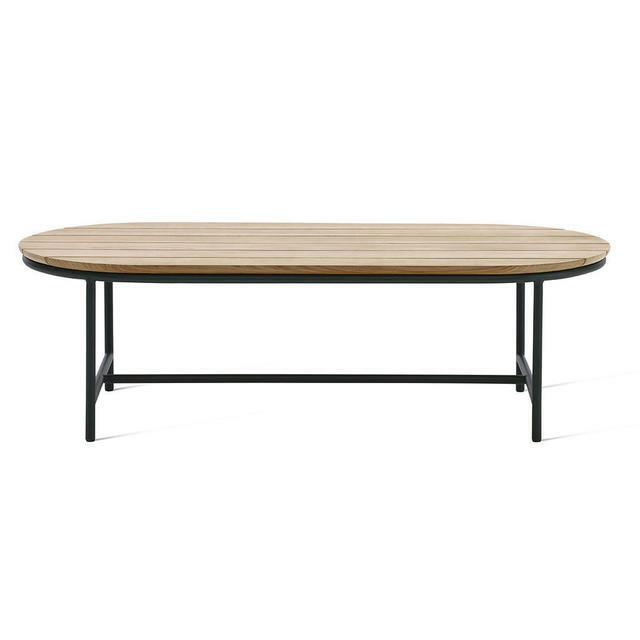 The frame is is made from powder-coated aluminium with a fine sanded teak table top. 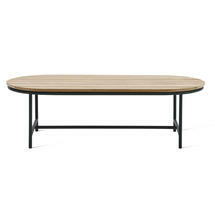 The coffee table and side table are made with a powder-coated, aluminium frame and a fine sanded teak top. 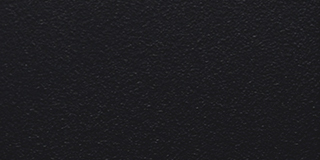 Choose from frame colours in either Charcoal or Forest Green.